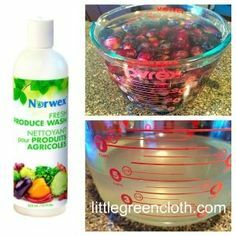 How to Naturally Remove Ants..with Norwex!! How to Naturally Remove Ants…with Norwex!! Wait a second! Not into my kitchen!! It’s inevitable- summer means ants. Ants have amazing smell senses. They have “four to five times more odor receptors than most other insects” (Vanderbilt University, 2012). Ants can smell much better than you can so chances are, the reason they are in your house is because they sniffed out something sweet on your floors, counter or drawers to eat. Last year, I woke up to find a trail of ants (seriously, a thin black line) from my front door, up the stairs, to a piece of fruit that had fallen behind my garbage the night before. Ants are gross, but what we bring on to our lawns and homes to manage the ants is even worse. I was surprised when I started researching ingredients in name brand ant killers. Combined, these 2 brands only list 3 ingredients, which make up 1%-5% of the whole product. 95%-99% is just listed as “other ingredients.” One of the ingredients for household ant killer is Borax, which according to the EWG, “cause(s) irritation to the skin and eyes and disrupt hormones. Intense exposure may harm the male reproductive system” (EWG.org). Imiprothrin and Cypermethrin, ingredients in another name brand ant killer, are insectides. It is recommended that people and pets are removed from treatment area when used; and if the chemical gets on your skin, you must flush for 15-20 minutes. So which is worse? Some annoying little ants or toxic chemicals? Instead of putting up with ants and chemicals, lets go the natural route. It’s going to take more work and vigilance on your part, but removing the real problem-misplaced food- is the best way to go. Find the source of the problem. Last week, it was a puddle behind my sink that became their watering hole. Wipe up the source and the ants on the scene or trailing in with the the EnviroCloth. Rinse cloth, send through wash machine. The ants really stick to the cloth so I had to send through the wash to get them all out of the cloth. Place wet Kitchen Cloth or Spirisponge on the scene of the misplaced food. I don’t know exactly why, but whatever other ants were lurking, flocked to the Kitchen Cloth and Spirisponge and stayed there. I kept it out overnight and let the ants congregate. Send Kitchen Cloth or Spirisponge through the wash. Maintain!! Once you have an ant-free home again, be vigilant- do you dishes right away, make sure your counters are clean and dry, mop your floors (if you have kids and pets, often! ), watch your fruit bowl like a hawk, and take your garbage and recycling out every night, if needed. Try it out! I’d love to see if it works for you! All you need is your Norwex cloths and water! !